Rev. James A. Roemke was born in Ft. Wayne, Indiana, to Brian Roemke and Tammy Barnhart. 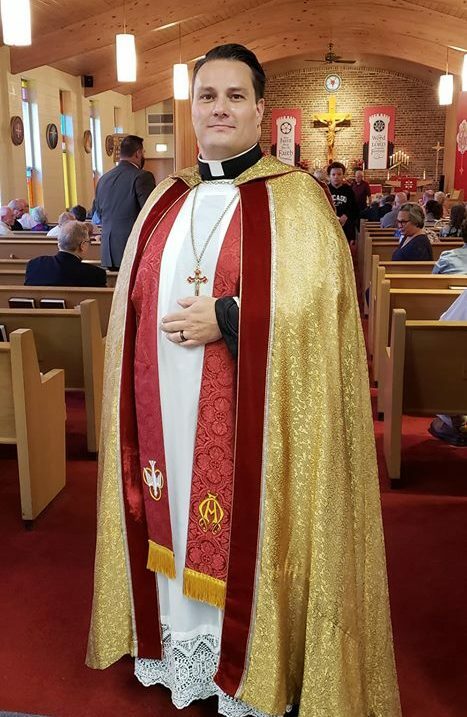 He was baptized into Christ’s Church in November 1979 at Holy Trinity Lutheran Church, Harlan, Indiana, and confirmed in the Christian Faith and Lutheran Confessions at Zion Lutheran Church, Woodburn, Indiana in 1995. 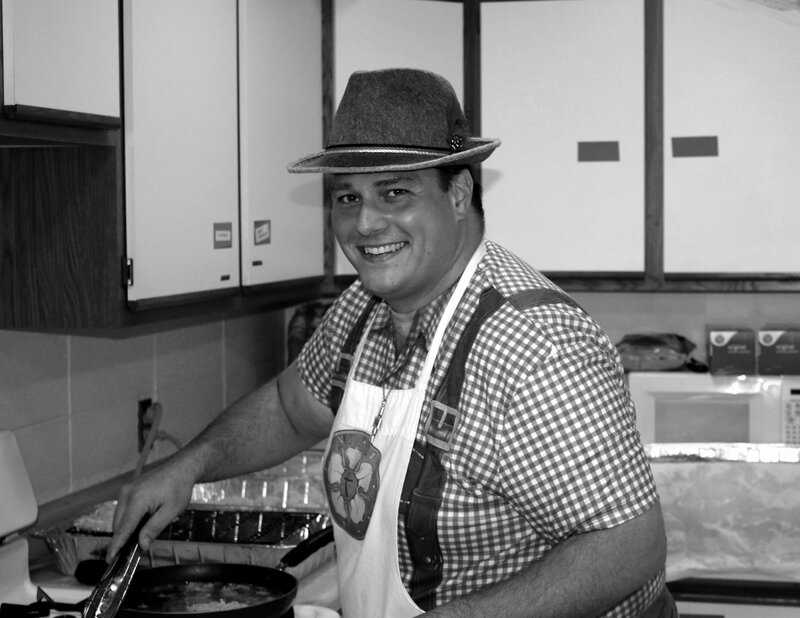 After high school at Blackhawk Christian, he joined St. Peter’s Lutheran in Ft. Wayne. He met his wife, Lesa (nee Peitzman) at IPFW, where both received Bachelor’s degrees in history. Lesa was confirmed at St. Peter’s in 2002 and they married in 2003. He attended Concordia Seminary in St. Louis and served his vicarage at St. John Lutheran in Hamilton, Texas. In 2007, Pr. Roemke received a call to serve the people of God at Good Shepherd Lutheran Church in Middleville, Michigan, where he joyfully served God’s people with the gifts of Word and Sacrament for 5 ½ years. He also taught religion classes at West Michigan Lutheran High School for 4 years. He was installed as Pastor of Messiah on February 10, 2013. 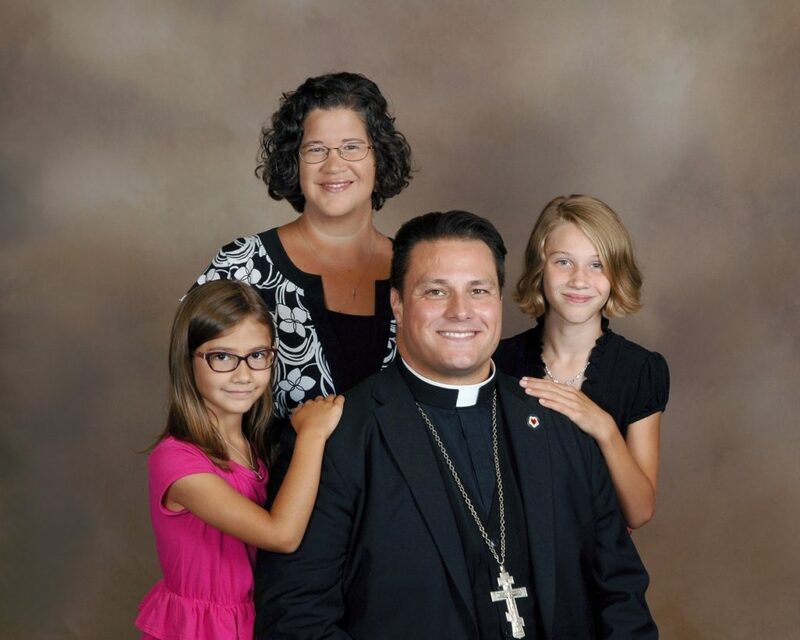 He is blessed beyond measure with two wonderful daughters, Carolena (11) and Eva (8).